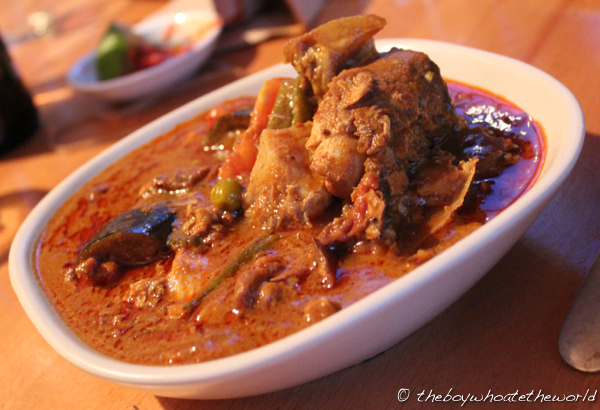 plusixfive supperclub: care for a spot of Fish Head Curry and Milo Dinosaur? In true Fergus Henderson nose-to-tail style, first up was deep-fried ‘Skin & Bones’ – an inventive duo of dishes which surprised and delighted despite being made from often discarded remnants. The savoury fish bones were particularly fragrant and crispy, going extremely well with the kaffir-lime infused tartare sauce it was served with. Next up, Sardine puffs… airy, flaky, melt-in-the-mouth pastry filled with a spicy, comforting Sardine filling. I could have easily devoured the entire plate of ’em! 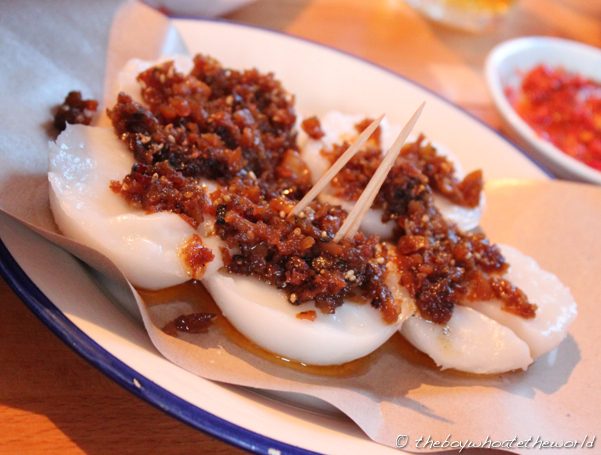 My favourite of all the starters though had to be the Chwee Kueh (steamed rice cakes). A speciality of Singapore and Johor, the last time I had these rice cakes must have been over a decade ago. The soft, velvety rice cakes were topped with delectably addictive hot salted radish (‘chai poh’) that had been spiked with chilli oil. Yum-meh mum-meh. In fairness, not everything was perfect. Char Bee Hoon (fried rice vermicelli), served the traditional hawker stall way on a sheet of brown wax paper for diners to tuck into was a little disappointing. Though tasty and pimped up with healthy helpings of spam, choi sum (chinese vegetable hearts) and black fungus, I thought the noodles were a wee bit soggy for my liking. Then, out came what everybody had been waiting for… the Fish Head Curry, served with bountiful amounts of steamed rice. Goz explained that he had deliberately cooked the curry out a little longer than usual which meant there was a little less Jaws-style action given much of the fish meat had flaked into the gravy. I’m all for less drama when it’s made up for in flavour, and what resulted was a full-bodied curry with chunks of fish throughout that was beautifully balanced. It had a good zing of tamarind piquancy, a slightly creamy body (I suspect from a small slug of coconut milk) and a nice, fragrant background heat. Personally, I would have cranked up the heat with a few more chillies, but the mild gravy meant we could plough our platefuls of rice with buckets and buckets of gravy without being overwhelmed. 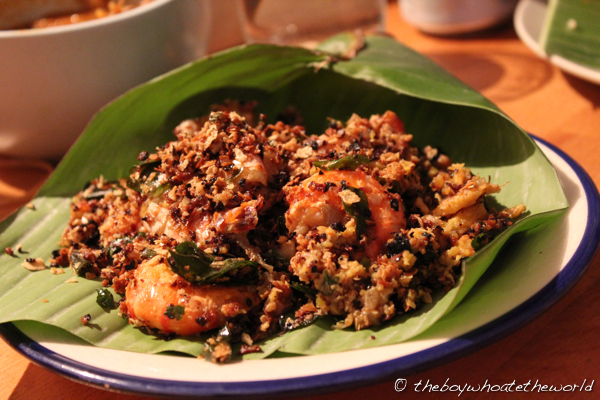 What was arguably even better though was Goz’s Nestum prawns – a match for any top seafood restaurant back home. Deep-fried with salted egg yolk, curry leaves, chillies and cereal, the dish had that wonderful characteristic crunch… every subsequent bite releasing holy trinity bombs of sweet, spicy and savoury flavours. Also delicious, and fabulously spicy was the side-dish of Sambal Telur (Hard-Boiled eggs) which had been prepared by Shu Han (@mummyIcanCook) who sous-chef’d alongside Goz for the evening (you can find her recipe for these bad boys here). For those wondering what on earth this Milo Dinosaur business is all about, it’s the same Chocolate-malt based drink that the Asia-Pacific loves, only loaded with epic amounts of undissolved Milo Powder for some extra, malteser-ey goodness. Sound good? Well, I’m happy to report it’s even better in ice-cream form! The rich, Choco-malt ice-cream was as smooth as a baby’s bottom. 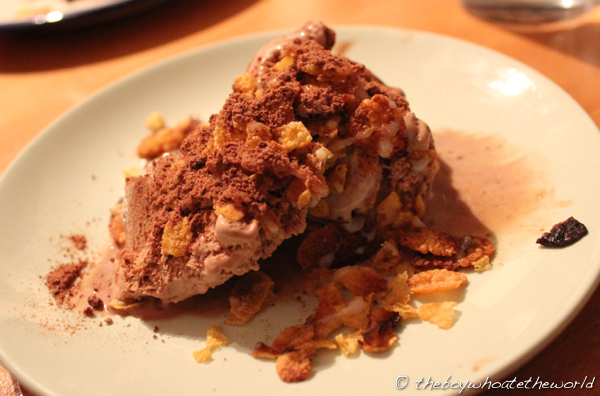 Add to that the extra milo goodness and crunch of the toasted cornflakes on top and it makes for a truly ingenious dessert that manages to embody everything that’s fun about mamak stall culture in Singapore & Malaysia. 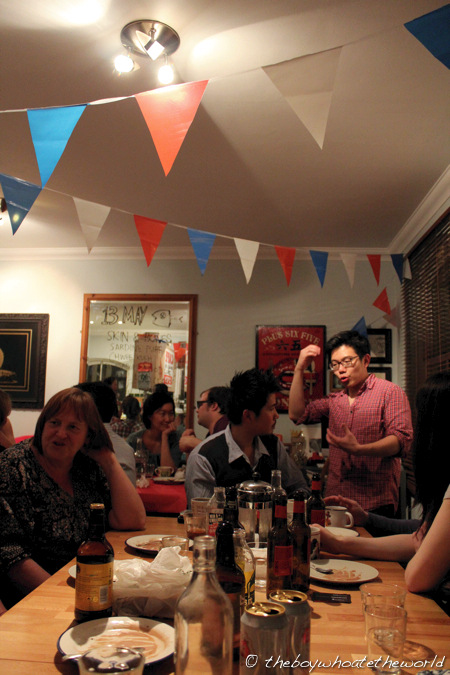 Food aside, I must say I thoroughly enjoyed getting to know my other fellow diners who had gathered there that evening. Yes, there is bound to be that awkward moment when you see others hovering outside the ‘secret’ location, checking their smart phones to triple-check they have the right address. And of course there’s the inevitable bit of initial small talk to get through. But it’s hard not to love the social buzz and bohemian camaraderie that ensues once the food gets going (and the booze flowing). I hear Goz makes a mean Ox-cheek and Beef Brisket Rendang. If that’s not a good enough reason for a return visit, I’m not sure what is. If you want to find our more about upcoming events, stay tuned to plusixfive and book your seats through the Edible Experiences platform. p.s. 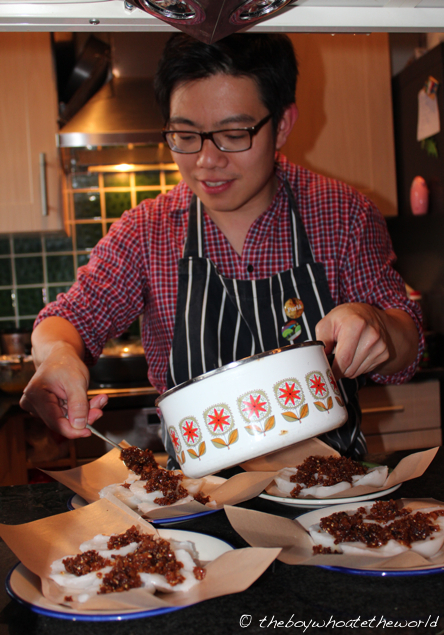 Thanks to @plusixfive, @mummyIcanCook & @ChristineYeo for hosting a rollickingly good evening. Was also great getting to know one half of @DishPiglets (& her man C), @Samsmitter (& family) and @feasttotheworld. 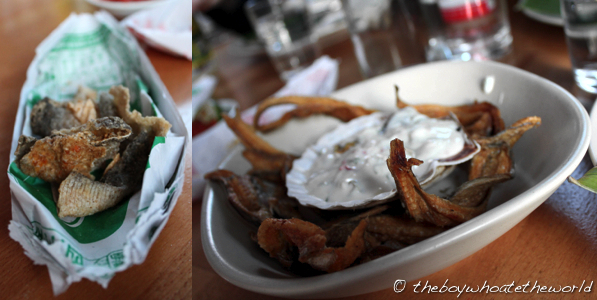 ← The Bratwurst (Soho): Currywurst Craving. CHECK.